If you are the type of person that just can't get enough of watching poker on TV, then I have some good news for you. 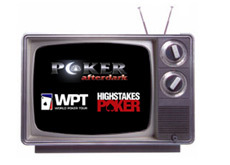 New seasons of the "World Poker Tour", "High Stakes Poker" and "Poker After Dark" are set to kick off soon. There was a time when the future of at least two of the shows was in doubt. The Game Show Network declined to pick up their option for the seventh season of the "World Poker Tour", and the show was left to scramble for a new home. Not only that, but "High Stakes Poker" appeared to be dead and buried a few months ago as well. Many people assumed that GSN's decision not to pick up their option on the World Poker Tour also meant that they wouldn't be producing any new episodes of "High Stakes Poker". The principals involved in "High Stakes Poker" were not told if the show would be continuing, and things were not looking good. Many people were disappointed, as "High Stakes Poker" is generally regarded to be the best poker show on television. A few months back, the network announced that they would be filming the fifth season of "High Stakes Poker", and the show just wrapped up filming last weekend. We won't get into any spoilers, but we've heard that this should be a great season with plenty of big hands. 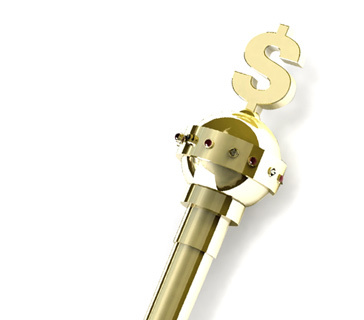 The new season of "High Stakes Poker" is set to begin airing on March 1st, 2009, on the Game Show Network. Lee Watkinson, David Williams, Mike Matusow, Andy Black, Allen Cunningham and Dewey Tomko. Season five of "Poker After Dark" will be incorporating more of the "cash game weeks" that have proven to be so popular with fans. Some of the names that will be participating in the $200/$400 No Limit Hold'em cash game weeks include: Tom Dwan, Phil Ivey, Patrik Antonius, Ilari Sahamies and Daniel Negreanu. There should be some great episodes this year. The seventh season of the "World Poker Tour" will be getting underway on January 4th. The show found a new home on Fox Sports Net this year, after previously being shown on the Travel Channel and GSN. There will be 26 episodes of the show this season. Instead of showing the entire final table in a single one-hour episode, the World Poker Tour will be airing two one-hour episodes that will allow more of the final table action to be shown. The hope is to build up a bit more suspense, as viewers will have to wait until the following week to find out who ends up winning.